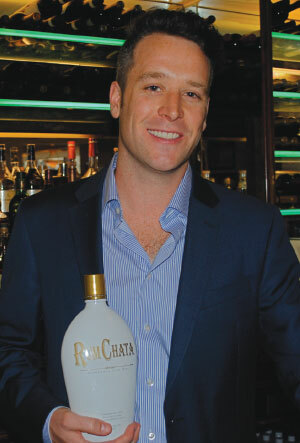 Charlie is the Global Branding Officer for the award-winning RumChata brand rum cream. He is responsible for executing all the brand marketing initiatives for this now, one-million case seller, RumChata. ITM: Hi Charlie, thanks for talking with us today. Most people are not familiar with the base product in RumChata, which is horchata. I would guess they think of it as a rum cream. Can you explain to us what horchata is? CM: Horchata is a soft drink served throughout Latin America, with roots going back centuries. Recipes are often passed down from generation to generation and include varied mixtures of rice, sugar, vanilla, cinnamon and either water or dairy. While horchata has an exotic history, its cinnamon and vanilla flavors are very familiar and nostalgic. ITM: It drinks beautifully straight, but mixologists around the country have picked up on this brand and use it in their unique recipes. Can you comment on its mix ability? CM: The vanilla and spices that form RumChata’s base are widely used in baking, so we always knew the flavor was going to be versatile. We hoped bartenders would pick up on that and experiment with their own recipes, and we’re thrilled with how far they’ve pushed it. Our fans have really been the driving force in discovering new drinks. We have over 125 on RumChata.com now, many of which came directly from the public. The flavor of RumChata is such a smooth, subtle base that it really allows all other flavors to shine. Mixed with flavored Vodkas or fine Bourbons — even Absinthe — RumChata draws out the unique flavors, while smoothing over any harsh edges. That’s why people have been so eager to mix it with just about anything. ITM: A lucky few liqueurs are a natural accompaniment to food, yours being one of them. Can you expound on this for our many chef subscribers? CM: It all comes back to the flavor. In the liqueur, the Rum really pushes the vanilla and spice notes to the forefront, and it does the same for foods. You can taste the difference when you bite into RumChata French toast — the flavors are bolder and richer. It’s the same with RumChata bread pudding, pumpkin pie, and all sorts of other recipes. And it isn’t just baked goods; you can drizzle RumChata over berries and experience more pronounced flavors. ITM: Is it gluten free? CM: Yes. RumChata has been certified to be below the limit of quantitation by the Institute of Agriculture and Natural Resources at the University of Nebraska, Lincoln. ITM: You can taste the rich cream in the product. Do you need to refrigerate RumChata once it’s opened? CM: RumChata will never go bad if stored at room temperature. We homogenize the dairy and the alcohol to ensure that won’t happen. However, a bottle that is opened may start to lose some of its spicy flavor after twelve months. If the bottle has been exposed to extreme heat or cold, there could be other issues with the product. As long as RumChata is stored at room temperature, we’re confident a bottle on the back bar will be empty long before there are any issues with the product. 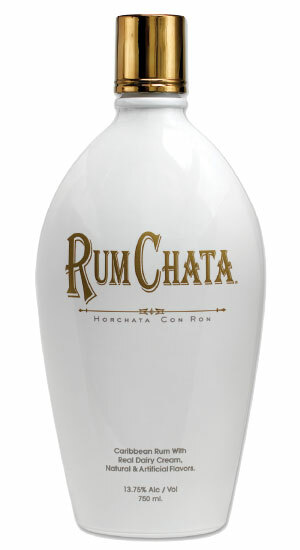 ITM: Is RumChata available in all the major markets, and is there a distributor list available for new customers? CM: Yes. RumChata is currently on shelves in all 50 states and the Caribbean, and by this fall RumChata will be available across all 10 Canadian provinces and 3 territories. You can reach out to our sales folks through our website to find out the name of local distributors. ITM: RumChata has really taken off. Does this product lend itself to line extensions such as different flavors? CM: Our fans come up with new flavors every day, from tiramisu martinis to RumChata root beer floats. Right now we’re working to ensure our fans can find the one and only RumChata brand rum cream in every bar and retail outlet. We know there are hundreds more amazing recipes we haven’t discovered yet, and those are the only flavors we’re focused on right now.